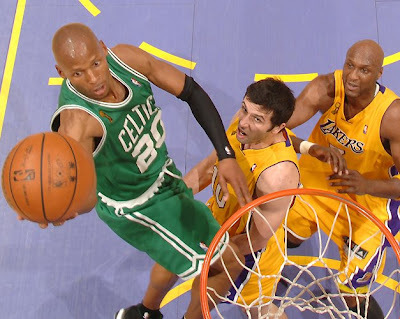 Ray Allen was definitely the man of game 4. kudos talaga sa big 3 ng Celtics. Ain't Paul just a darling? I swear that man is super. And I believe with all my heart nung sinabi ni DJ Mo that Pierce is sincerely a nice, nice person. look at their fashion sense. 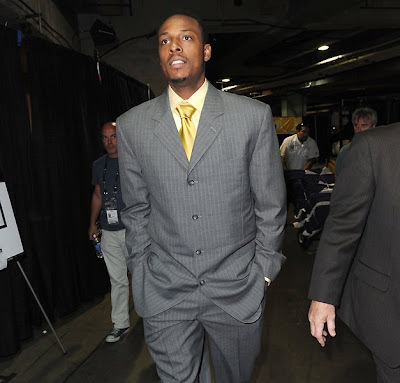 i mean, i'm no fashionista but in fairness ha, i can see that they do justice to the suits they wore (just like KG) unlike a certain Spaniard on the other team who always looks like he just woke up. Nice taste or stylist i guess?? Haha. Na-blangko ako ng mga isang minuto siguro pambihirang patis naman oo. Nakakahiya! Game 4 bukas. Sheesh. I'm with you Celtics, all the way!